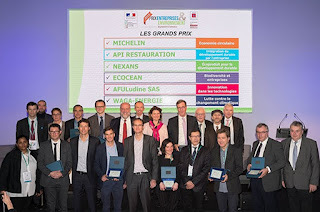 Michelin Truck Tire Awarded for "Fighting Against Climate Change"
The French Ministry of Ecology, Energy, and the Sea and the Agency for the Environment and Energy Control have awarded Michelin the Circular Economy Grand Prize, “fighting against climate change” special Mention, for the eco-design and retreading process of its Truck tires as well as for its Michelin Solutions offers. 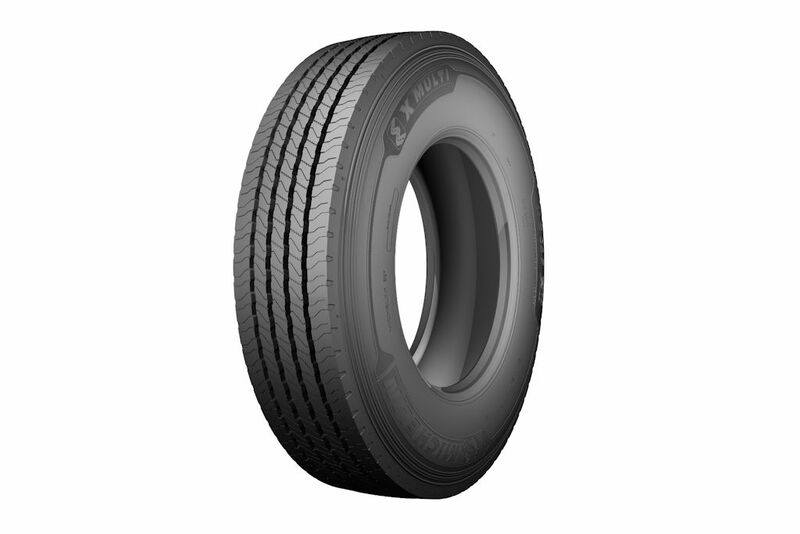 Michelin truck tires are eco-designed with the objective of maintaining their performances over several lifetimes. The re-grooving process, which brings depth to the sculptures, extends the initial life of the tire by 25 percent, while reducing the fuel consumption of the truck by up to 2 liters per 100 km. Retreading consists in replacing the tread band and thus giving a second useful life to the tire which can be re-grooved under the same conditions as a new casing. During COP21, in November 2015, Michelin committed to reducing the carbon footprint of its tires by 20 percent between 2010 and 2030. The Michelin Solutions entity that designs, develops and commercializes services and solutions participates in this effort by proposing innovative mobility solutions to enhance fleet management and improve their profitability. This includes the outsourcing of a fleet’s tire expenditures, roadside assistance, enhanced vehicle productivity, management consulting and reducing fuel consumption.